When I was little, I was completely enamored with Christmas lights. 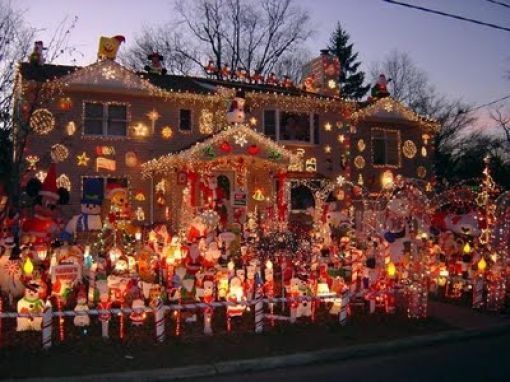 We'd drive down a neighborhood, and families would have their entire house decorated with colorful lights, reindeer, plastic candy canes and of course, the large blow up Santa. Well, now I would call that tacky and expensive. (Even though it's fun to see it all!) Crazy what adulthood does to you! Do you recognize this? 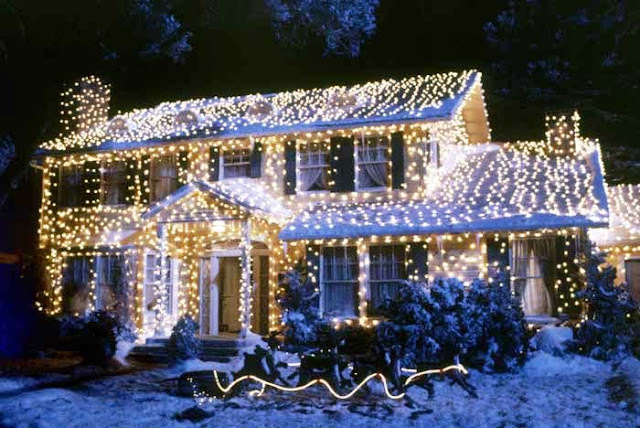 It's the Griswolds home, a Christmas classic if you ask me. I heard somewhere that they redecorate it like the movie each year, so I've made it a life goal to hunt it down and get my picture next to it. Now this would only take a few minutes. Hi Ya'll, we're your new neighbors!